Nature Circles is a project of Hooked on Nature. Hooked on Nature is a nonprofit whose mission is to provide resources, workshops and training that inspires people to develop life-long relationships with each other and the natural world. We have had the privilege of working with this wonderful nonprofit to develop several projects over the years. 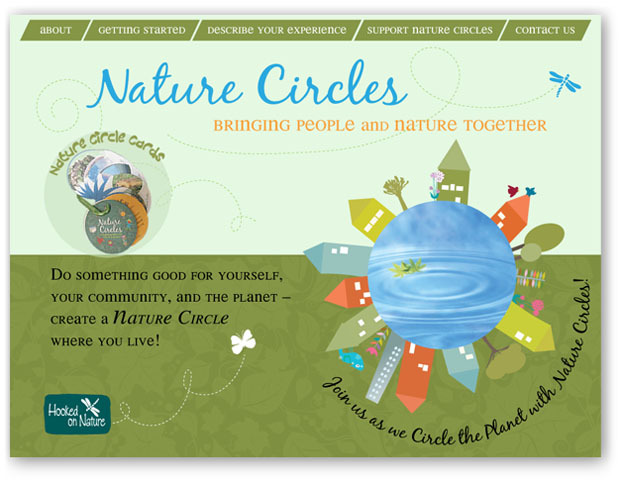 Projects include this Nature Circles website and many other marketing pieces such as nature books, annual reports, newsletters and brand identity.